The union published its first report on media freedom in connection with the UNESCO World Press Freedom Day (May 3, 2011). It established Observatoire de la déontologie du journalisme was represented in Instance nationale pour la réforme de l'information et de la communication (INRIC). In the spring of 2012, it protested on several occasions against the harassment of journalists covering demonstrations and the government's general disrespect of media. It lobbied to have the new bills concerning media and access to information passed quickly and urged in the beginning of April 2012 that the INRIC-recommended commission be established whose objective would be to grant press cards and accredit foreign correspondents. This commission would be in charge of those competitive exams, which INRIC suggested become an obligatory part of the recruitment of journalists in order to avoid nepotism, corruption etc. It also created a sub-committee to discuss the possible transformation from a "syndicat" to a "union". Adress: 14, avenue des Etats-Unis d'Amérique, Tunis Belvédère 1002. Created May, 2011. Members are the big private audiovisual media such as Hannibal and Nessma. The objective of the organisation is to represent the economic and social interests of its members. It has pressed to improve journalists' access to information and vehemently opposed INRIC's plan of establishing a regulatory body for allocation of new broadcast licenses. It has been involved in the development of the Code de la Presse. Adress: 9 Rue Kawakibi, 1002 Tunis, Tunisie. Syndicat tunisien des radios libres (10th Dcember 2007). Focus on freedom of expression, human rights, media independence, founded Radio 6. Member of Association mondiale des radiodiffuseurs communnautaires (AMARC). In collaboration with « Instance nationale pour la réforme du secteur de l'information et de la communication (INRIC) » and « Association mondiale des radiodiffuseurs communautaires (AMARC) », this organisation arranged a workshop dedicated to discussions on the potential and experiences of using of community media in Tunisia and transitional countries. The organisation for post-January 14th newspapers and newspapers of political parties. These newspapers experience the same problems concerning the distribution of institutional and public advertising money benefits the old newspapers as does also the current monopoly on distribution of newspapers. The organisation maintains that the state must subsidise the costs connected with printing, distribution and import of paper. The organisation claims that the newspapers must be subsidised to avoid that they become dependent on money from political parties instead of being a free and democratic press. « Association culturel et intellectuel vise à réhabiliter les jeunes journalistes et plaider en faveur de la consécration du droit à l'information, de la décentralisation de l'information, et de la mise en place d'une information régionale active ».The president also calls for boosting of the practical dimensions of the journalist education at Institut de Presse et des Sciences (IPSI). In February 2012 the organisation arranged « the month of laughter », 6 one-man shows, in order to promote freedom of expression in a cultural context. Established 4.3.2011 by 19 journalists « connus pour leur militantisme ».The inspiration to establish the centre goes back to the Gafsa confrontations in 2008 which spawned the organization "Comité tunisien de protection des journalists". Purpose: to support already existing structures and encourage journalist professionalism in order to develop freedom of the press. It has three goals "formation des journalistes, promotion des législation régissant la profession et observation des violations des droits des journalistes ». The institution has held a colloquium with the participation of scholars, reporters, journalists and specialists in international law focusing on freedom of expression and the right to exercise journalism. The centre will cooperate with Reporters without Borders and establish education of journalists wanting to cover the coming elections. It will publish a book on violence to journalists in the period 1987-2011. The organization is involved in the project "La Tunisie Vote",www.latunisievote.org, launched on July 14th 2011 which aims to educate journalists based in the regions. 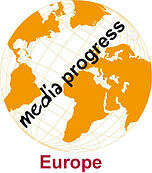 The project is carried out in collaboration with the German organization "Media in cooperation and transition". A group of national and international media and human rights organisations seeking to coordinate support for media and media reform in Tunisia. Founded in March 2011 by Fahem Boukaddous, Slim Boukdhir, Zouheir Makhlouf and others. The center is founded in 1995 as a Mediterranean network of audiovisual cooperation for broadcasting groups, audiovisual producers and actors in the countries bordering on the Mediterranean Sea. Independent association of organizations and individuals from the Arabic-speaking countries who are active in issues relevant to the media, freedom of expression and human rights in the region. The Group seeks to improve professional standards and media policy reforms at national and regional levels by generating reliable and quality documentation on the state of the media in member countries and advocating on issues pertaining to freedom of opinion and expression as well as encouraging joint regional media advocacy campaigns. A project supported by the Danish media organization International Media Support (IMS) and the Open Society Institute (OSI) in which organizations from Bahrain, Egypt, Lebanon, Palestine and Tunisia monitored and reported on the media coverage of the 2004 Presidential elections in Tunis led to similar monitoring activities in other Arab countries and subsequently the formation of a loose network of civil society organizations with elections monitoring experience from across the Arab world.. In March 2011, the Arab Media Group for Media Monitoring established itself as a formal institution with its headquarters in Tunis and expanded its mandate beyond only monitoring the media coverage of elections to monitoring the media coverage of other pertinent issues that impact the democratic transformation processes underway in the member countries. The organization has been represented in Instance nationale pour la réforme de l'information et de la communication (INRIC) and has analysed the three media legislation bills as part of its legal analysis programme. The organisation opened an office in Tunis in November 2011. "Le bureau de Tunis travaillera en étroite collaboration avec des organisations locales de défense de la liberté de la presse (Observatoire pour la liberté de presse, d'édition et de création, Centre de Tunis pour la liberté de la presse, Ligue tunisienne de défense des droits de l'homme, Conseil national pour les libertés en Tunisie, etc.)". The objectives of the organisation are to stop the authorities from menacing the freedom of the press and to help them construct a stable an independent media sector. On January 14th, 2012, the organisation published an open letter expressing its worries concerning freedom of expression in Tunisia. The organisation is involved in an IFEX-project in Tunisia of workshops titled "Internet serving freedom of expression" in cities outside the capital of Tunisia in cooperation with Tunisian Centre for Freedom of the Press. The association of media professionals, representatives of the trade union UGTT, the Tunisian Human Rights League (LTDH), the Tunis Centre for Freedom of Expression, lawyers, political scientists and young activists started by journalists Hassan Mensi, former chief editor at TAP and former president of Association des journalists tunisiens, aims to develop a media landscape and contribute to the development of a media strategy based on the political, legal, institutional, social and material needs of the sector. Following the controversial government appointment of directors and editors of media on January 7 2012, the organisation claims that the media sector must be fundamentally revolutionised and purged of the numerous actors who owe their position to former president Ben Ali. The media should fulfill the role as "watchdog" in order to guarantee good governance and remain independent of economical and commerical interests rather than to serve as a government tool. It also advocates for including a clause concerning liberty of expression, freedom of the media and access to information in the new constitution, which is being developed. A new media network including Yemen Times, The Tunisian Union of Free Radios, Sawt Al-Manajem Radio in Gafsa, Palestine News Network in Bethlehem, Shabab Libya Fm, Al Andalus Institute and Horytona radio in Egypt. The network will establish a community media counterpart to governmental or commercial monopolies. It intends to work with civil society, legislature and freedom of expression activists to create an enabling environment that will support changes in laws to be in tune with international criteria. The new media network is run by Amman-based nonprofit Community Media Network and funded by the Swedish International Development Cooperation Agency (SIDA). The original Aswatona community media project focusing on the West Bank and Gaza is under the auspices of Internews and funded by USAid. The purpose of the monitoring launched in July 2011 was to document the degree of media impartiality, defend media ethics and defend the voter's right to choose freely. A coalition consisting of l'Association tunisienne des femmes démocrates, l'Association des femmes tunisiennes pour la recherche et le dévéloppement, le Ligue tunisiennes des droits de l'Homme, le Conseil national des libertés en Tunisie, Syndicat national des journalistes tunisiens and Observatoire pour la liberté de la presse , de l'expression et de la création have published reports on their media monitoring mission of 7 newspapers, 4 tv-stations and 4 radio stations (2 private and 2 public). They criticised a general absence of investiative journalism and that only 6 % of election coverage focused on female political candidates. It critised that the media focused exclusively on the three candidates to the presidency, the prime minister and the leader of the parliament rather than their political programmes. The report recommends initiating a national debate on the role of the media during the democratic transition, to pass a law guaranteeing freedom of expression, restructuring public media, and to institute a clear distinction between news management and news editors. It is supportet by the Danish organisation International Media Support, Observatoire de Pavia (Italy) and Arab Working Group for Media Monitoring. Adress: N°6, rue Khayreddine Pacha, à Tunis. "COPEAM, as the network of networks, was formally set up in Cairo in 1996, after the statutes of Association had been approved confirming its deeply innovative component. A permanent forum of dialogue and cooperation, able to bring closer not only the shores of the Mediterranean, but also the different actors of the Euro-Mediterranean cultural and audio-visual sector: radio and TV broadcasters, professional associations, inter-governmental institutions, international agencies and non-governmental associations, cultural and research institutes, independent producers, universities, local institutions ..."
Established in February 1969 with the objective of "strengthening ties and promoting cooperation among broadcasters in the Arab States for better production and content development." Established in 1950 to promote cooperation between broadcasters and facilitate the exchange of audiovisual content. The EBU works to ensure that the crucial role of public service broadcasters is recognised and taken into consideration by decision-makers. It has been supported by the German Friedrich Naumann fund since 1968. Over the years the former regime intentionally lowered the educational standard so the study programme is said to have attracked those students who were not accepted by more prestigious programmes. The study programme is generally critisiced for being primarily theoretical and few of the professors have worked as journalists. The institute needs to develop connections to media professionals, the professors should be involved in international exchanges, and the students need to improve their political and social knowledge as well as their proficiency in foreign languages. Centre of advanced studies in journalism and communication. Thanks to considerable support from the EU in 2005-2007 the centre is well-equipped with several studios and other equipment for audiovisual and print media training, but suffers from the same type of state control concerning educational formats and selection of candidates as IPSI does. The statutes should be revised to increase the centre's independence. A board rather than the prime ministry should be responsible for the management and should draw up curricula that respond to the needs of Tunisian journalists. The board should prioritise among the many proposed trainings offered by foreign institutions. In the first half of 2012 CAPJC has hosted 2-3 trainings per month arranged by Friedrich Naumann Fund, Canal France International and Arab Reporters for Investigative Journalism. This centre is under the auspices of the prime Ministry. It collects documents concerning all aspects of "la vie nationale et internationale", provides facilities for research and training of students and professionals.It administers the regional bureaus of information and documentation, edits and publishes texts concerning the documentation sector. Adresse: Boulevard Mohamed Albouazizi, El Menzah 1004, BP 603, Ariana, Tunisie. Fax: +216 71 704 960. Following January 14th, 2011, traditional civil society groups were invigorated and new groups were formed overnight, some indistinguishable from political parties. Further along the line, a number of umbrella organisations were also established to unite and train individual organisations. Founded in 1989, the organisation played a prominent role in the January 14th 2011 revolution for which it received the Simone de Beauvoir award for the freedom of women 2012. The organisation advocates gender equality, democracy, secularism and social justice. It wants women to be recognised as equal citizens and it is consequently also member of the Fédération Internationale des Droits de L'homme (FIDH). Together with Conseil national pour les libertés en Tunisie, Association des femmes tunisiennes pour la recherche et le développement and SNJT this organisation undertook media monitoring before, during and after the October 23 elections. Adress: 112, Avenue de la Liberté, 1002 Tunis. Tel: 71 890 011/22 953 782. Founded in 1956. The first years, it led a national awareness campaign informing women of their newly gained rights with the "Code du Statut personnel" and their role in the economic and social development of the country. Its objective is to improve the status of women, eliminate all discrimination of women and eradicate illiteracy and school drop-out. It offers training of young girls who have dropped out of school and assists women in finding sources of income. Founded 1976. LTDH activities, previously suspended, were legalised following the January 14th 2011 revolution. Conseil national pour les libertés en Tunisie (CNLT). This splinter group of the Ligue tunisienne des droits de l'homme (LTDH) was established in 1998 when LTDH was controlled by the old regime. This organisation was prominent in calling for "un assemblée constituante" rather than maintaining the old constitution. Founded 1989 by the Arab Organisation for Human Rights, Arab Lawyers Union, Ligue tunisienne de défense des droits de l'homme, UN Humans Rights Center, UNESCO and UNICEF. It has received the UNESCO award for Human Rights education and has opened a regional section in Medenine in March 2012 where it will train voluntary organisations in human rights. Founded in 2003 by Radhia Nasraoui. She received the Roland Berger Human Dignity Award 2011 for her criticism of the regime, raising awareness of torture and fighting against the torturer´s impunity. Research and clearinghouse on data, statistics and information concerning Tunisian women, their status and conditions founded in 1990. Its Gender and Media Observatory monitors the Image of Women in Tunisia in addition to hosting workshops and seminars designed for journalists and communicators on "Gender and Media", "Women and Globalization". Created in 1993 in response to the request of a number of Arab governments and civil society organisations and institutions as a regional center of research and studies relating to gender and the status of women, of advocacy for the improvement of women's status and of data collection, indicators and statistics. The centre arranged in April 2011 the seminar "Strengthening women's leadership and political participation of women in Algeria, Morocco and Tunisia".The center arranged in April 2011 the seminar "Strenghtening women's leadership and political particiaption of women in Algeria, Morocco, and Tunisia". Together with the Venice Commission, CAWTAR trained journalists in "fair media coverage of the electons for the constitutal assembly" in the fall of 2011. Clearinghouse on information on voluntary organisations. Hosts training of voluntary associations on basic communication principles and capacity building concerning cooperation with foreign associations and grants applications. Mouvement Byrsa Citoyen/ Science Po Monde Arabe: Founder : Sélim Ben Hassen. The France24 broadcast 18.2.2011 featured Nedra CHERIF, Member of the Byrsa Bureau. "En lieu et place d'une campagne électorale, le mouvement préfère se mobiliser pour une campagne citoyenne, qui, faute de peser sur les élections permettra d'assoir les bases d'une souveraineté solide. Lucides, ils se méfient de la tentation d'incarnation et de médiatisation trop rapide qui ne pourrait que réduire la portée du mouvement sortie des entrailles d'un peuple. Pour Karim Salah, la construction d'une offre politique ne doit pas précéder la consolidation des acquis de la révolution. C'est le rapport entre gouvernés et gouvernants qui doit changer, durablement ». The organisation implemented a United Nations Populations Fund awareness campaign focusing on citizenship, democracy and encouraging the young to become involved in the democratic transition. A group of Tunisian citizens supporting and strengthening the democrativ process. Currently establishing branches nation-wide. It is in charge of a citizen-journalism projects. Advocacy organisation for citizen participation in the democratic transition, emphasising that the constitution process demands citizen participation. This group launched the on-line "charte citoyenne" comprising 16 points affirming, among others, the Tunisian tradition for women's equal rights, advocating individual liberty, freedom of expression and free access to information. The group is a driving force behind the construction of the secular front « Pôle démocratique moderniste" which organised marches calling for democratic transition, individual liberties, and opposing violence. It also organized meetings with prominent guests from Arab countries in order to inform on other Arab revolutions and the Palestinian people's struggle for liberation. Founded April 2011. Umbrella organisation of more than 80 associations and informal groups uniting to establish a common platform and coordinate their effort in order to reach a larger part of the Tunisian civil society prior to the election in October 2011. One of these is the "Open Data" Group which encourages the administration to give citizens, journalists, and scholars access to documents because this data belongs to the citizens who finance public sector activities. Founders: Bahri Ben Yamed (L'Association des cinéastes tunisiens) Moufida Belgith (L'Action pour la citoyenneté). Established April 2011 as a virtual group of men and women aiming to eradicate all forms of discrimination and gender inequality (including the religion-based laws on inheritance), encourage the inclusion of women in decision making, in politics, in economics etc. and train women to communicate and be convincing. It advocates for equal access to the media for politicians of both sexes and hosts training in political communication. The group advocates for the removal of all Tunisian exceptions to the CEDAW conventions and to maintain women's rights. It hosted a conference in connection with International Women's day in March and has posted a viral video against the niqab on its Facebook site in April 2012. A platform for projects contributing to the construction of a democratic, free and open society in Tunisia using new technology to overcome restrictions of the past. It salutes initiatives such as Open Data which facilitates transparency in public institutions. Together with Canal France International, l'Association de Multimédia et de l'Audiovisuel (AMAVI) and Tunisia Live, the group organised the first international digital journalism conference in celebration of the one year anniversary of the revolution in January 2012. The organisation cooperates with the online media www.fhmit.com and has created the site http://www.contournerlacensure.net with e-books and instructions on how to circumvent internet censorship filters. The organisation founded by young Tunisians abroad aims to create a dialogue between primarily civil society in Arab countries, and at a later stage between Tunisia, France and the USA. In June 2011, it hosted a conference on religion, the state, the role of political parties and the development of a political culture in Tunisia. In January 2012 it hosted « The importance of media for the democratisation of Arab countries" in collaboration with a Moroccan counterpart. This post-revolution organisation aims to develop the feeling of citizenship in young Tunisians and to represent their diversity. Organised the 2ème forum tuniso-français de la société civile together with the Institut Francais in March 2012. Has created a section in Gafsa in May 2012.